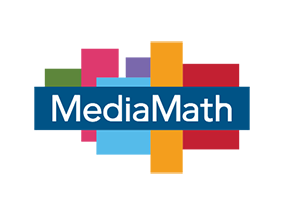 We are excited to announce a new partnership with global technology company MediaMath. MediaMath has integrated Geopulse Proximity into their TerminalOne Marketing Operating System™, enabling marketers to deliver high performing mobile advertising to users based on their real-time location. MediaMath is the first partner to fully embed our Geopulse Proximity Designer into its platform. The union enables clients to design, build, and activate hyperlocal-targeting strategies directly within TerminalOne, yielding a seamless, end-to-end workflow. Activating these sophisticated and flexible geofences against MediaMath’s unmatched global supply scale gives advertisers another method by which to drive and maximize long-term business outcomes. The new offering leverages Geopulse Proximity’s flexible and accurate global targeting capabilities, powered by our best in class Global Places data. Global Places covers over 95 million business listings and points of interest across 50 countries and is continually updated to help ensure freshness and accuracy. This same data is used by thousands of developers and companies including Apple, Facebook, Uber, and Microsoft. 1. Background vector designed by Freepik.